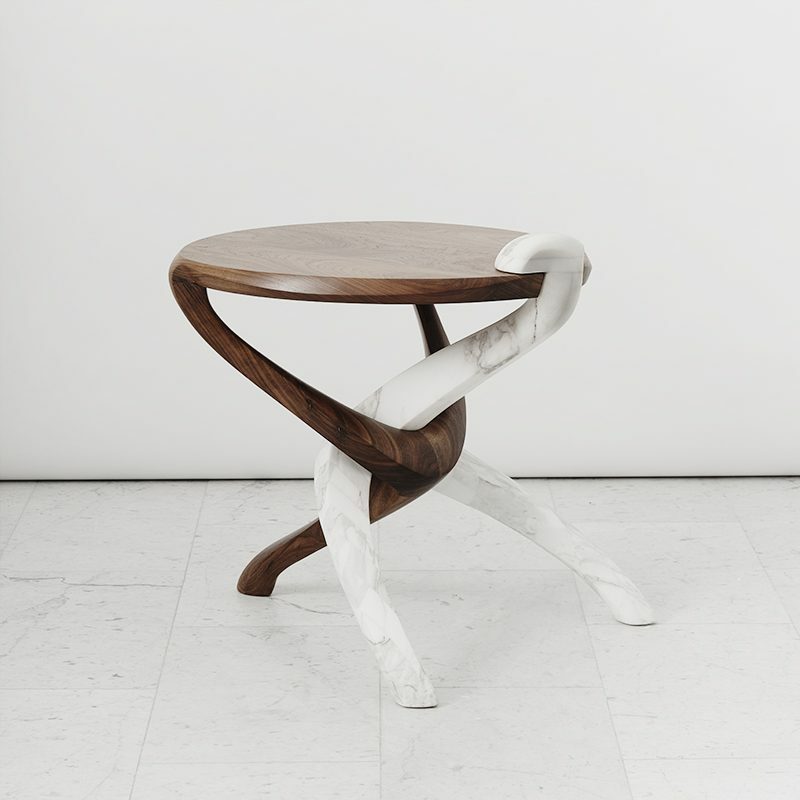 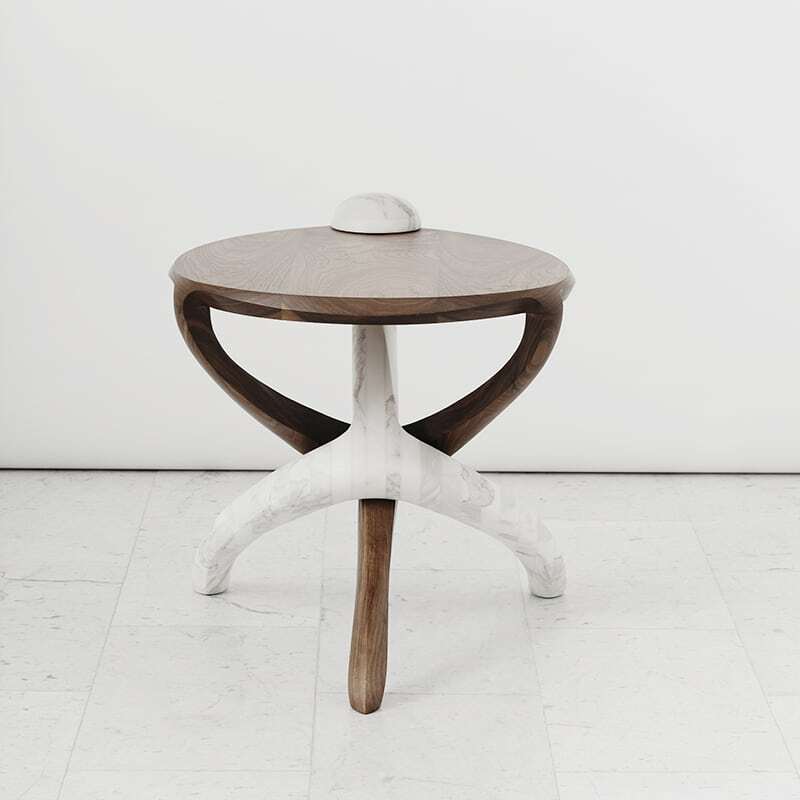 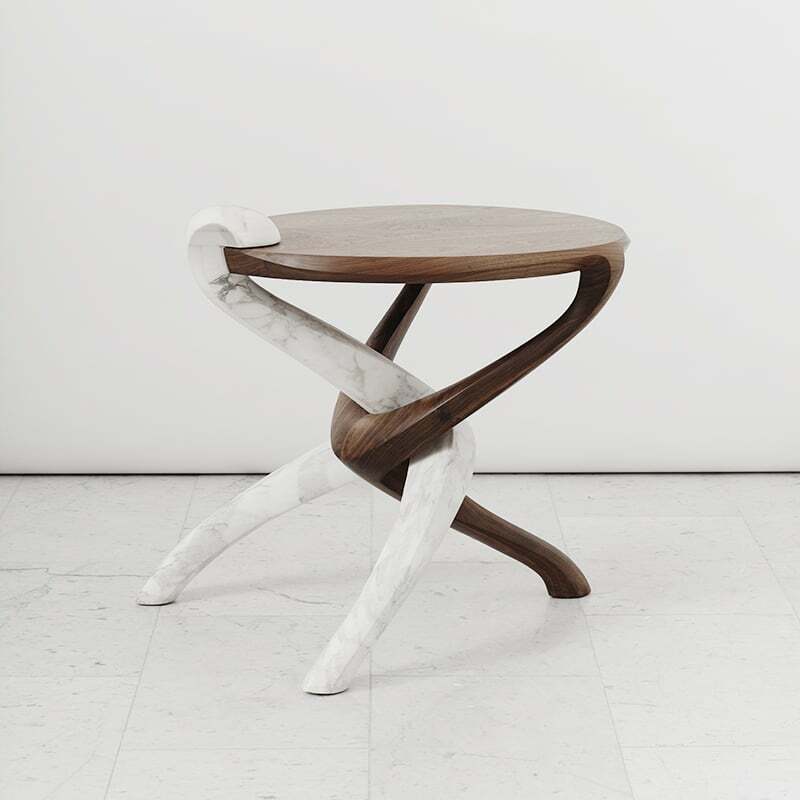 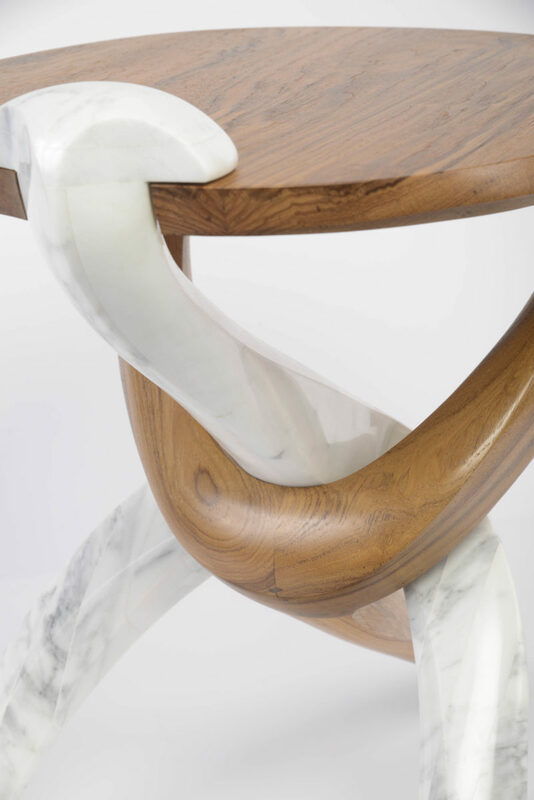 With the Crossover Table, Markus Haase demonstrates his masterful ability to imbue wood and stone with an almost preternatural sense of fluidity and movement. 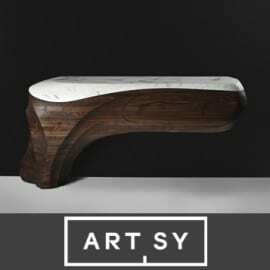 Haase’s two decades of experience as a sculptor are evident in his masterful treatment of materials. 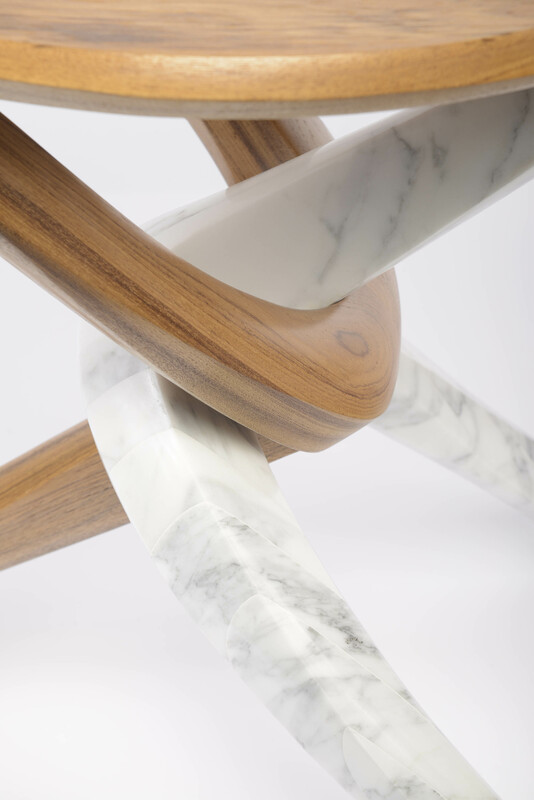 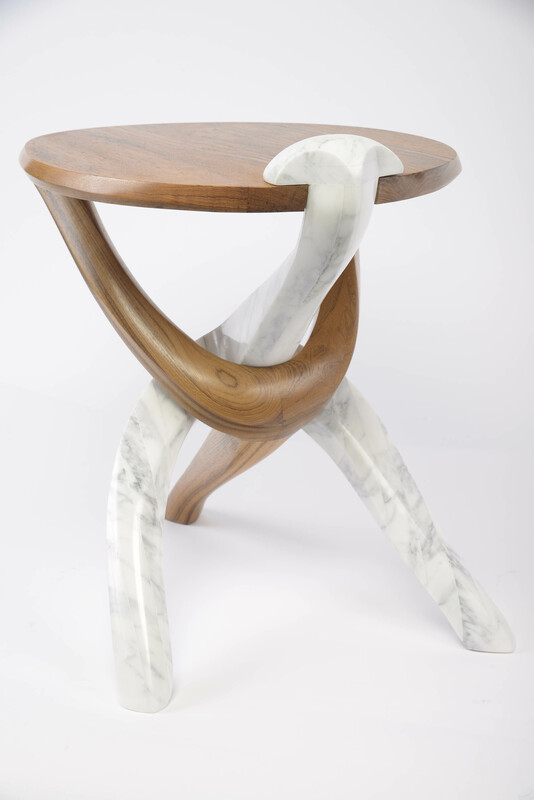 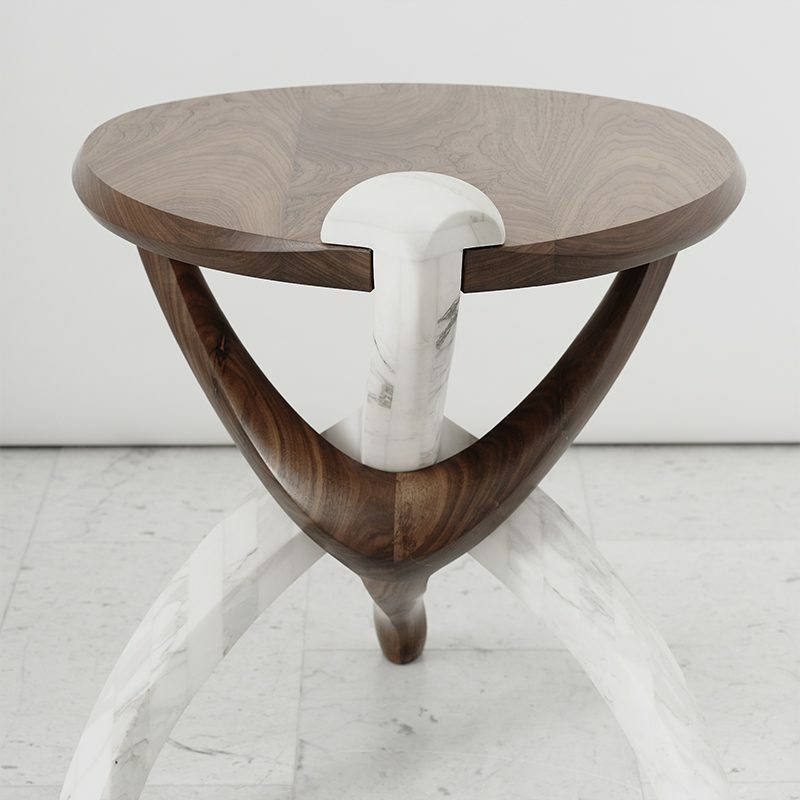 The wood and marble wrap around each other in a sweeping, interlocking gesture, the rich color of wood contrasting with the elegant brightness of marble. 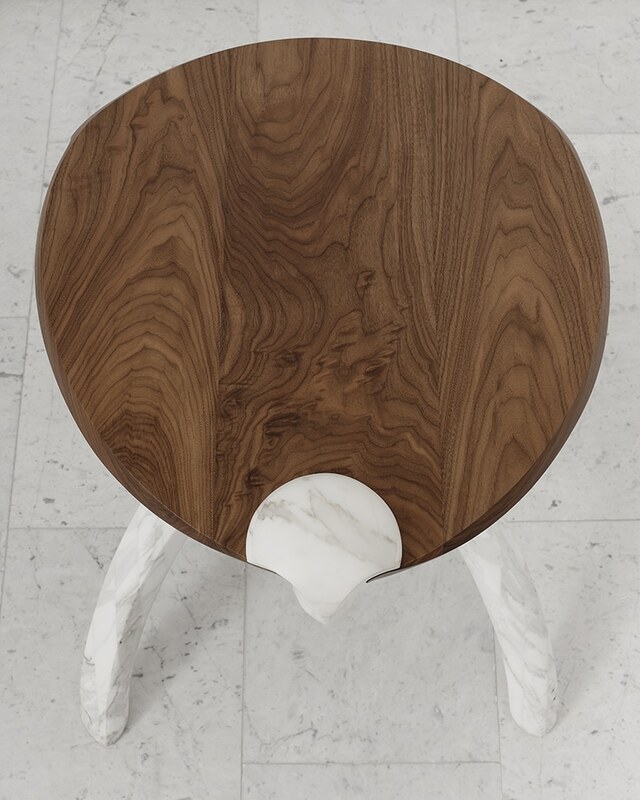 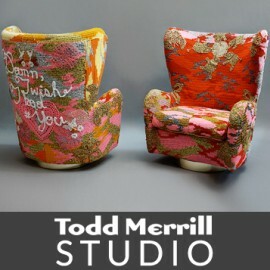 Available in walnut, teak, or ash. 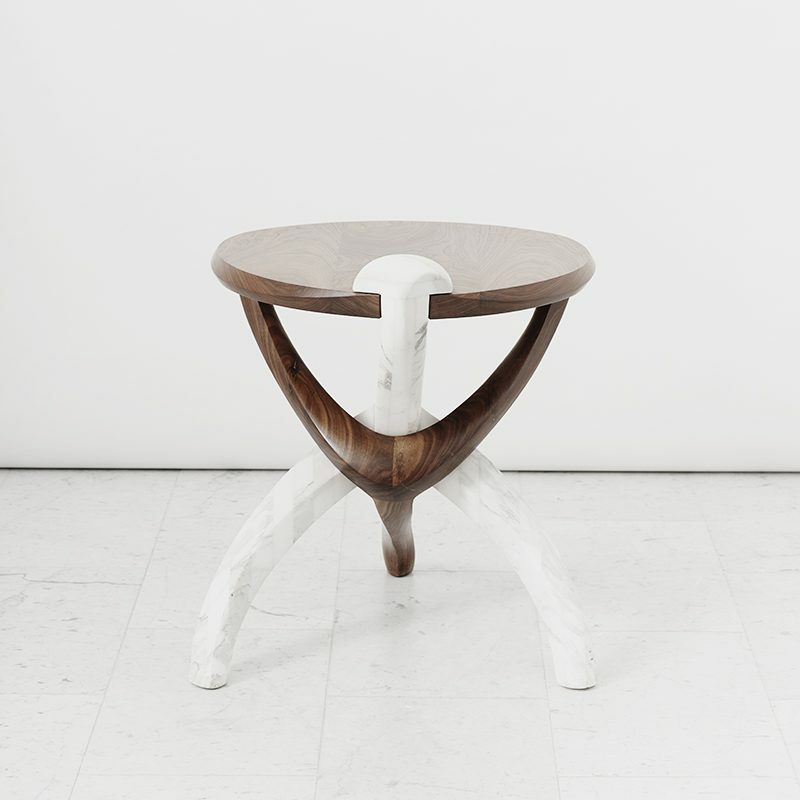 Shown in walnut and teak.